As I pinched back my basil plants this morning, I suddenly realized that I still have a couple of packets of pesto in the freezer from last year’s harvest. Obviously, I can’t start making this year’s pesto until last year’s is consumed! Yet, in the midst of a several-day stretch of hot, humid weather, I just couldn’t see putting a pot of pasta on to boil. 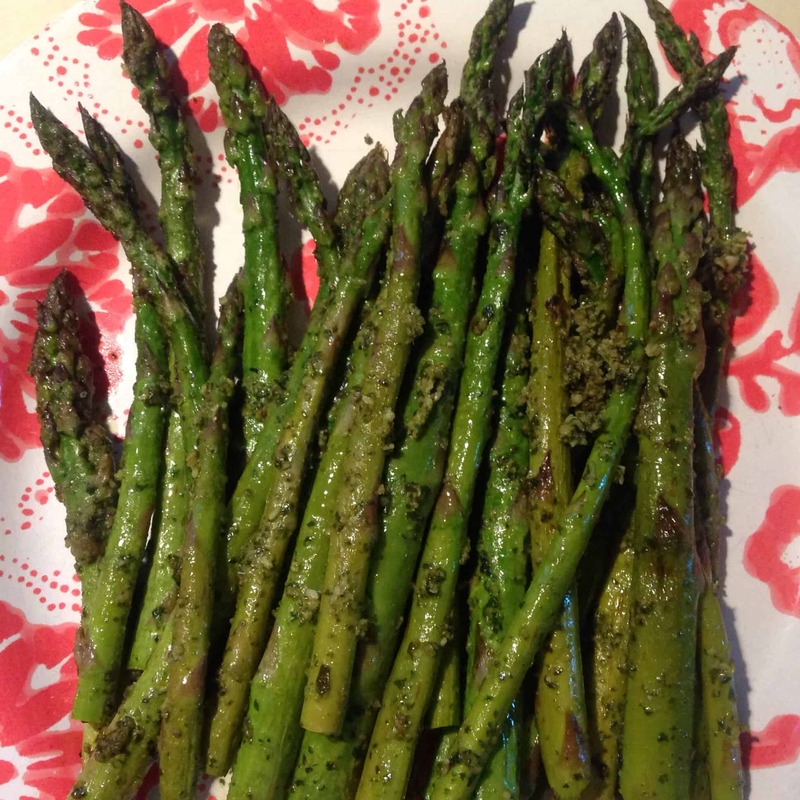 Instead, I thawed out some pesto and tossed it with some asparagus I picked up from the farmer’s market this week and threw it on the grill for 15 minutes. The results were too good not to share. I use this Epicurious recipe for basic pesto as a template, but often substitute other greens (such as arugula) or nuts (such as walnuts). Is canned fish the ideal source of calcium?